I have to wonder sometimes if little girls hate bathtime as much as boys…well, lately, my boy at least! At six years old, stopping playtime to get in the tub is just a bother to my son. But at least with Dial’s new line of children’s products, getting him clean is quicker and easier! Dial Kids Foaming Hand Wash comes in a deliciously fruity watermelon scent that kids (and adults) will love. The pump is easy for little hands to use. 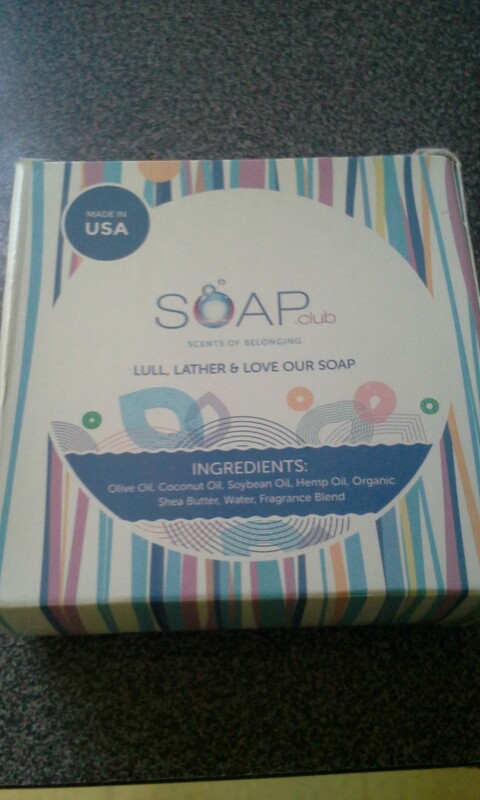 The soap is hypoallergenic, and contains no artificial dyes or parabens. It’s pH balanced and gentle on kids’ skin. 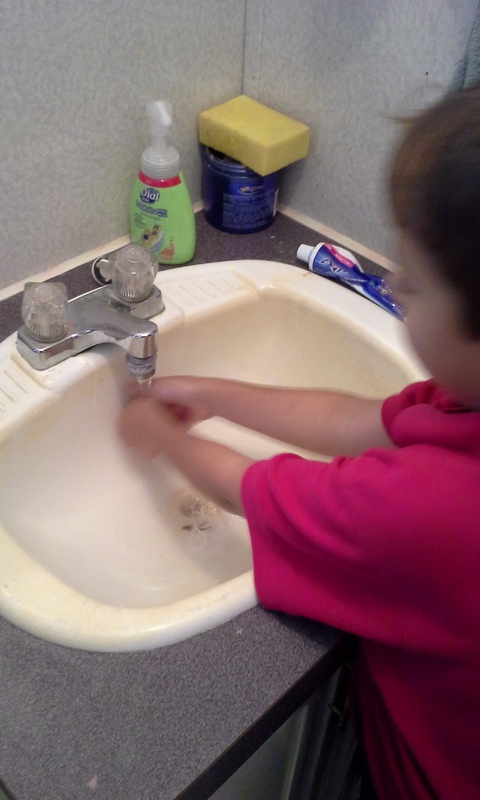 My little guy was able to easily get soap out and rinse it off as well. He kept sniffing his hands and telling me how yummy they smelled! 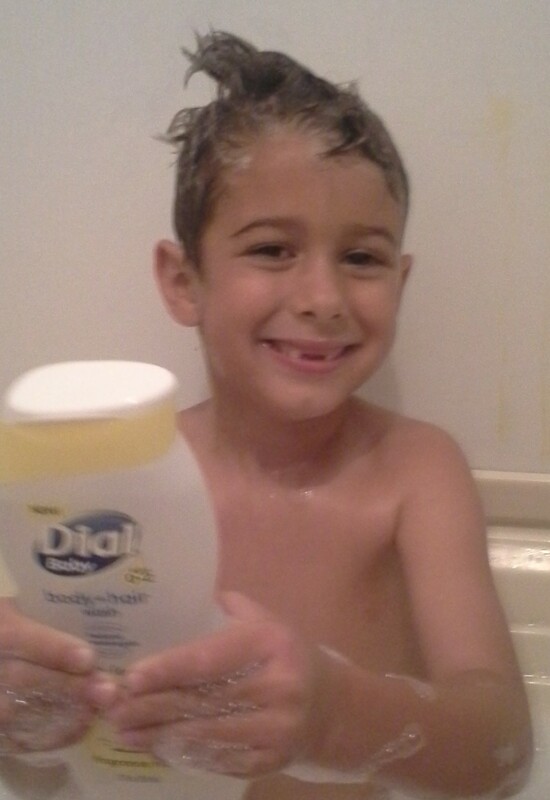 Dial Baby Body & Hair Wash makes giving your kid a quick bath a snap, because you only have to use one product! 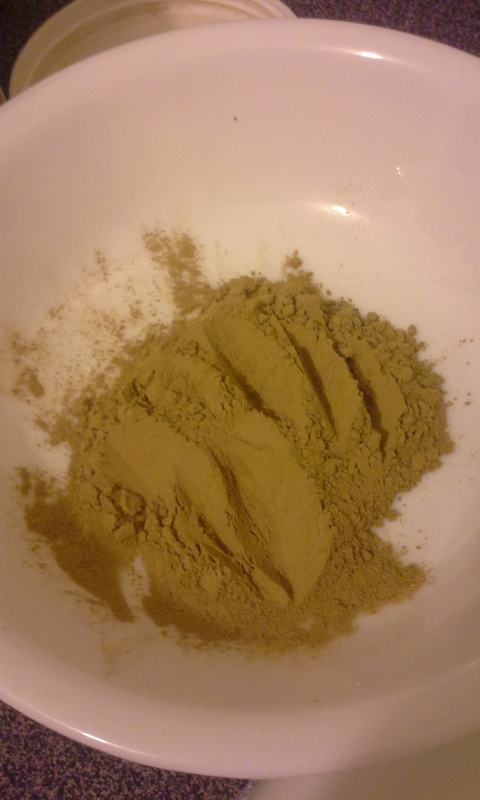 It lathers up so nicely but rinses well too. 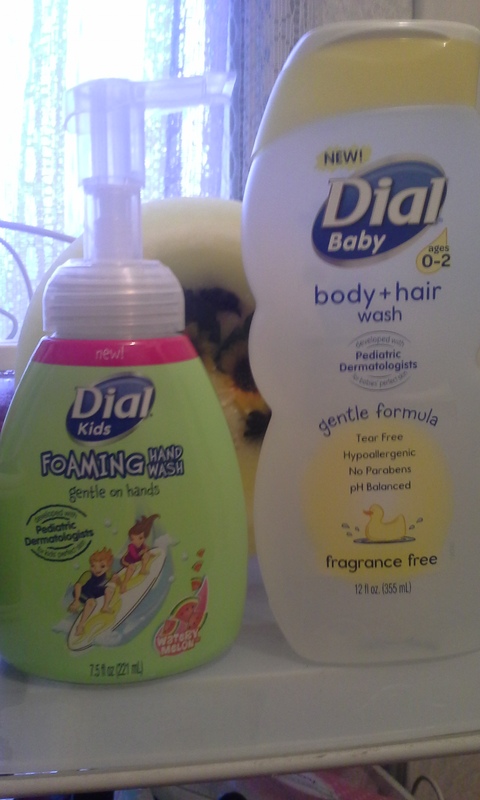 The formula is fragrance free for kids as young as newborn, but as they grow you can get Dial Kids Body & Hair Wash in yummy fruity scents like peach or berry. I love that the bath products that are a favorite for mom and dad are now available to kids! I feel great knowing Dial Kids Products are developed with pediatric dermatologists to give kids and babies perfect skin. Visit the Dial Website or Facebook page to learn more about new products or promotions! 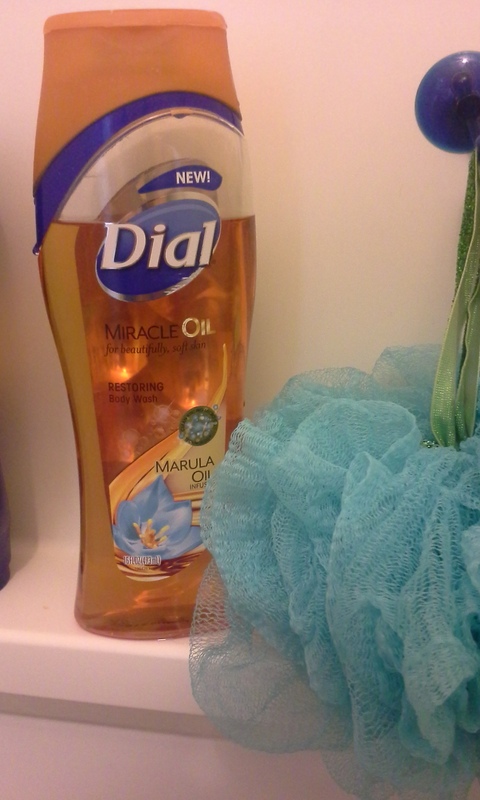 I had never before heard of marula oil before trying Dial’s new Miracle Oil Body Wash, but I’m very happy that I’ve discovered it! Marula Oil is meant to nourish and deeply hydrate your skin while protecting it from skin-damaging free radicals. To have this skin protectant in a body wash form is awesome–you don’t even have to think about your skin needing it during the day. The miracle oil body wash has a light scent, somewhat floral, but I would think it’d be OK for both men and women to use. The formula makes a very rich, creamy lather and rinses off easily. For winter skin that’s trying to shed its’ dryness in preparation for spring and summer, Dial Miracle Oil Body Wash is just perfect. Even though the wash is made with oil, it does not leave skin feeling greasy at all. 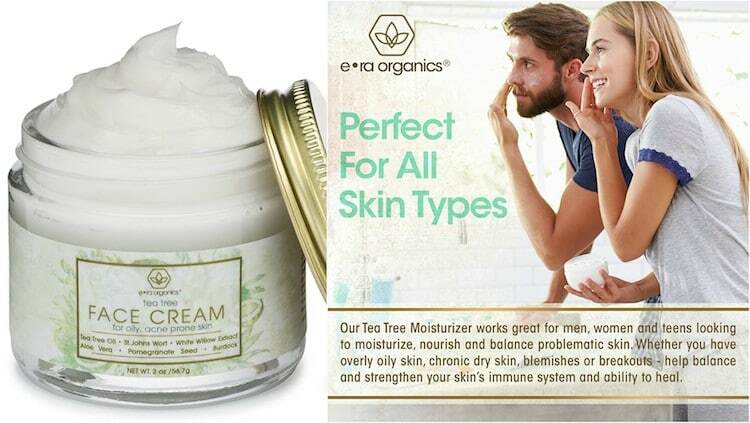 My elbows and knees still have a way to go before being shorts-season ready, so by pairing this body wash with a great body cream I think my skin will improve greatly! Find out more about this and other Dial products on their Facebook page. We’ve known for a while that the waters of the Dead Sea have some sort of beneficial effect on skin. The salty water and earth of the Sea have been used in tons of beauty products lately, such as scrubs, soaps, toners, and more. 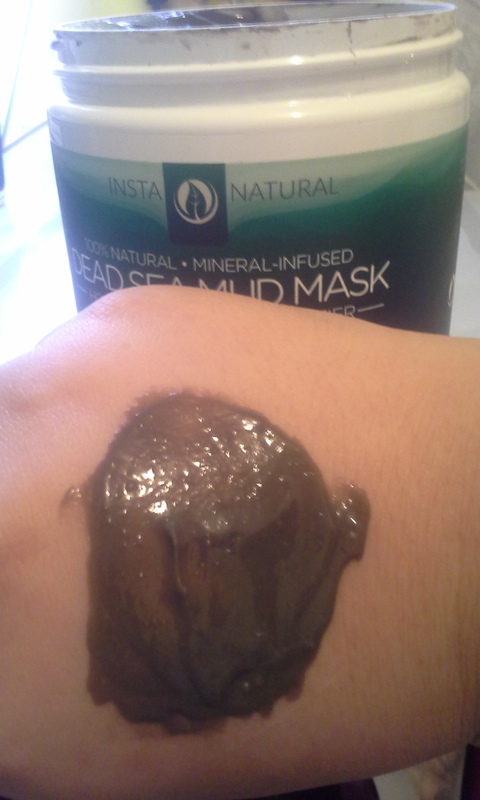 I got the opportunity to try out a Dead Sea Mud Mask from InstaNatural, as well as an Advanced Action Retinol Moisturizer! 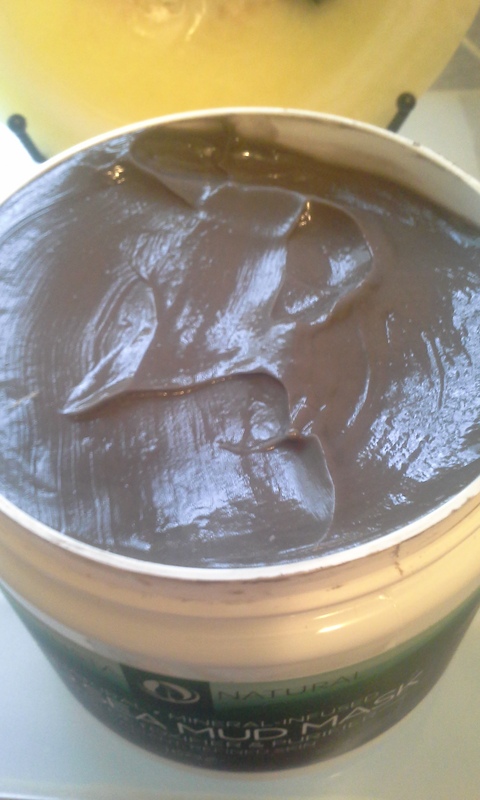 This mud mask is a huge jar, and I can tell that it will last me a very long time! Just from one use, this is all that was removed…and I could have gone with less, as I think I put it rather thicker than it should have been. 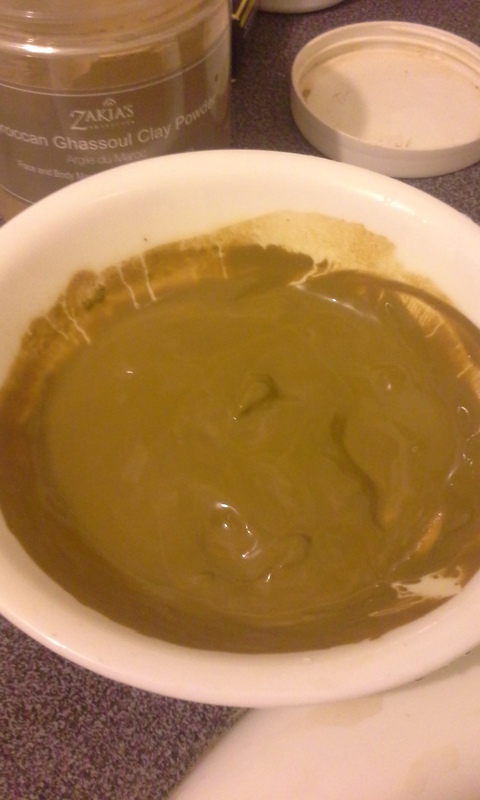 The texture is not unlike that of chocolate pudding, to be honest, although there are some small bits that don’t offer much in the way of grittiness. There’s not really any scent to be noted. Upon first putting the mask on, I noticed a cool tingling. I liked it quite a bit. 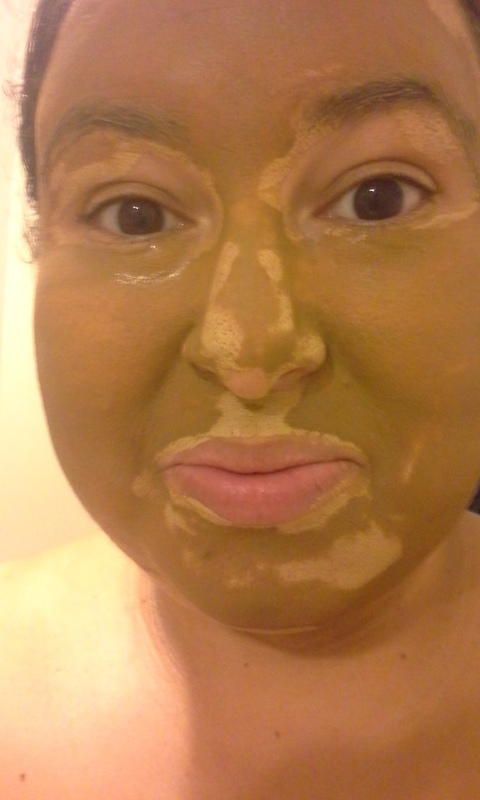 My main issue was that as the mask went through the process of drying on my face, it began to itch. This irritate me to the point where I definitely had to wash it off before the full 15 minutes was up, but I think my skin may be more on the sensitive side. 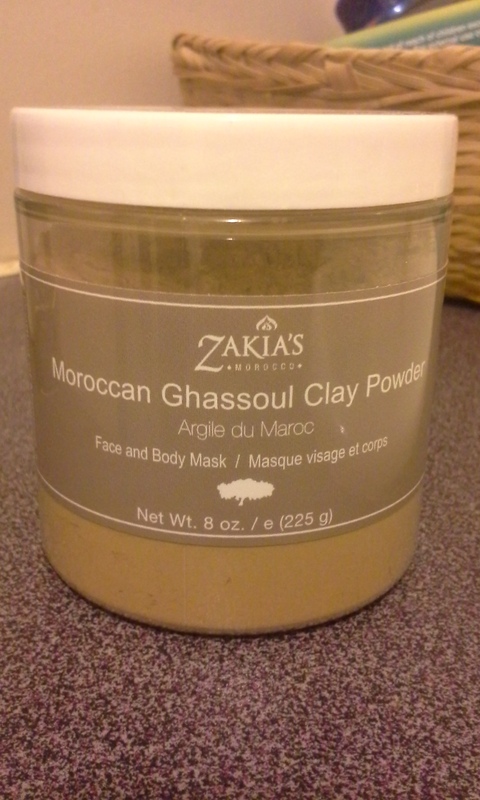 I did feel an immediate softness on my face after using the mud mask. I think I will be most interested in using this mask on the rougher parts of my body, such as elbows and feet! 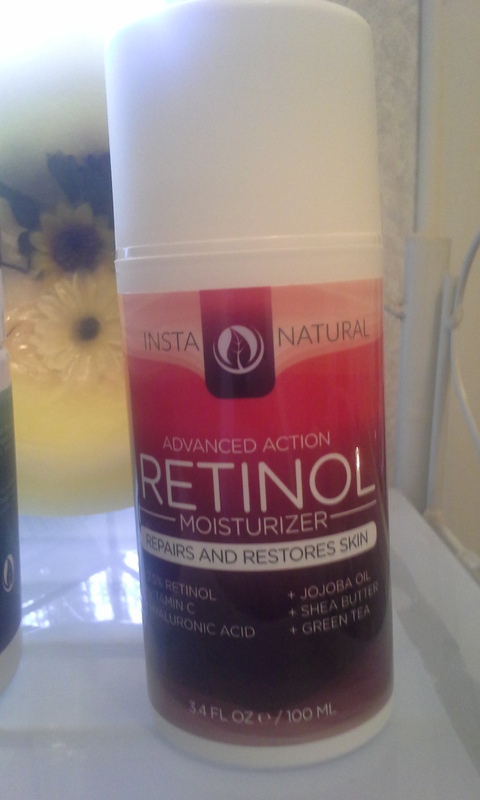 I had heard of retinol before, but I was never really sure what its’ benefits were. 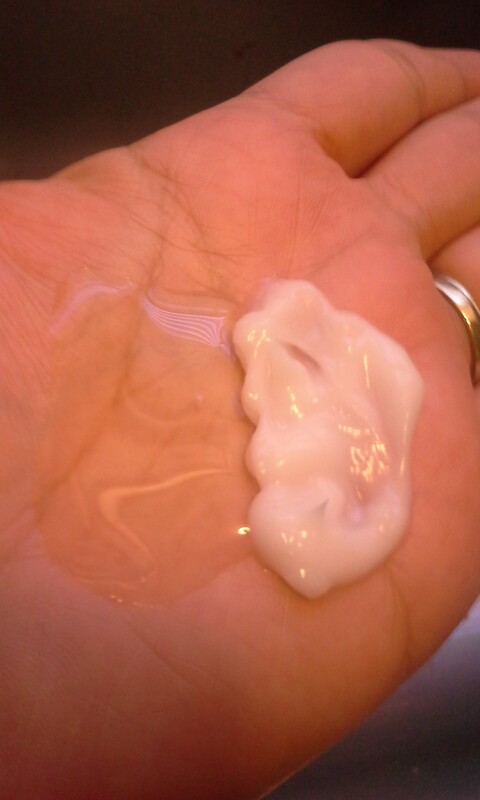 That’s why I was excited to test this moisturizer. 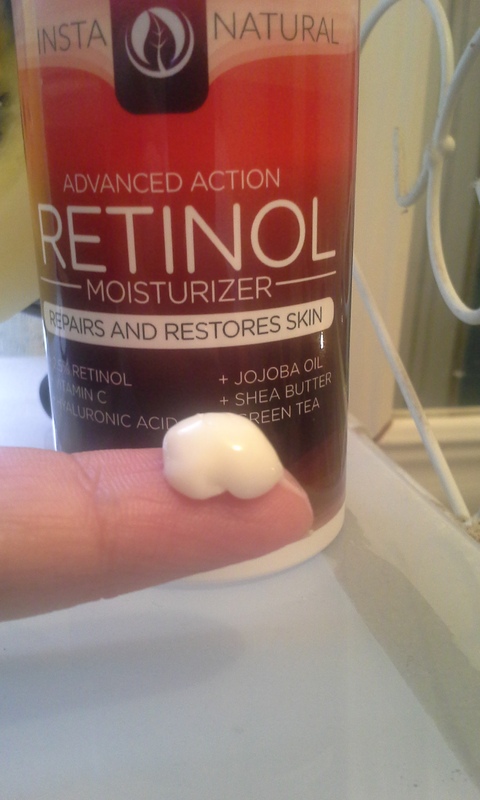 I love that this moisturizer dispenses from a pump, and one pump dispenses just enough to cover my face. The texture is perfect, not too thick but not too thin. It glides easily on the face and take very little time to absorb. 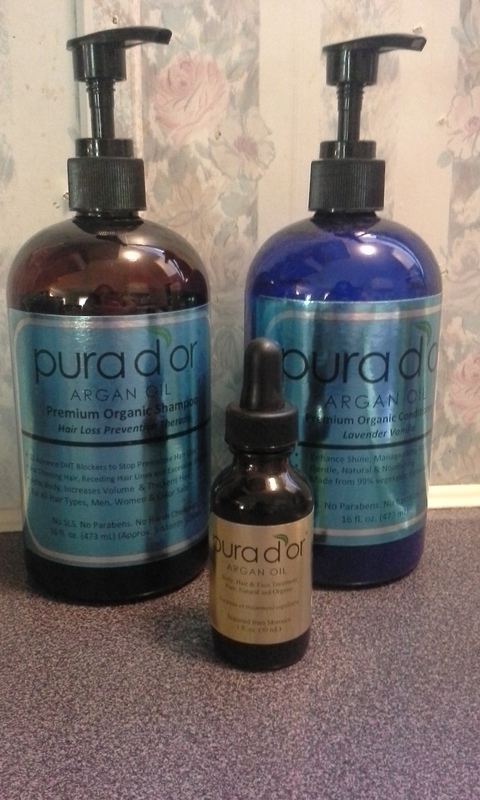 I began to feel that my face was softer and more hydrated after only a couple of uses. One important thing to mention about using a facial product with Retinol–being out in the sun can lead to more damage. So, I will be using this as strictly a night time moisturizer. 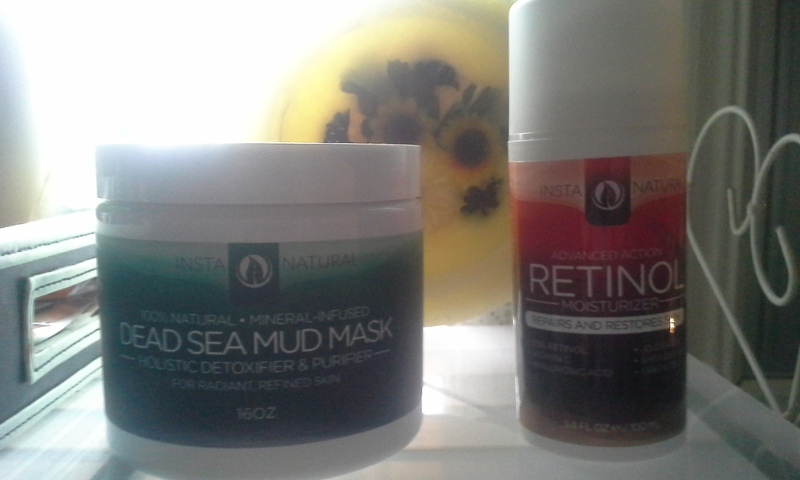 I was very impressed with both products I received from InstaNatural. 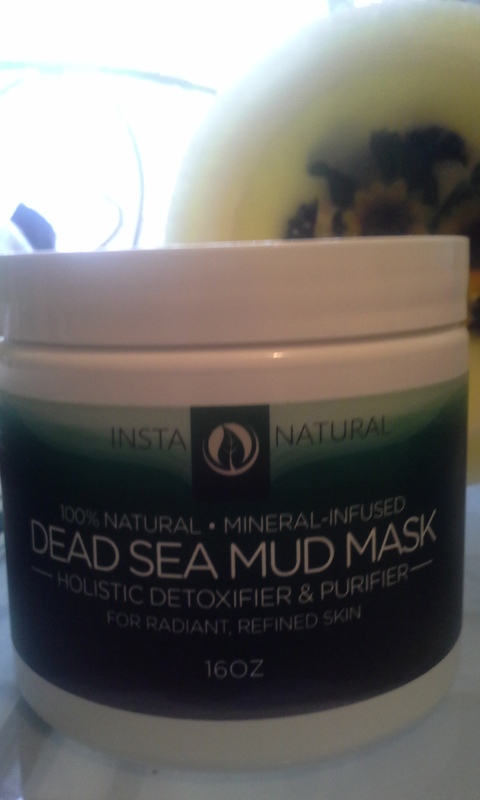 I’m also happy to say both the Dead Sea Mud Mask and Retinol Moisturizer are made in the USA and animal cruelty free! 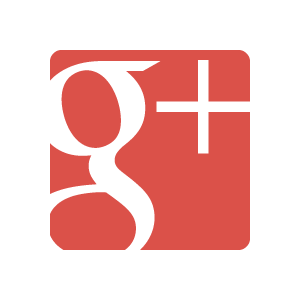 Best of all, InstaNatural offers a 100% money back guarantee for all its’ products. **DISCLAIMER: I received free product from the company above to test for this post. No other compensation was given, and my photos and opinions are my own. Powered by BrandBacker. As an adult who sometimes gets the occasional breakout, I don’t always like to wash my face with medicated washes because they can be harsh. I do, however, need something powerful when those breakouts show up! 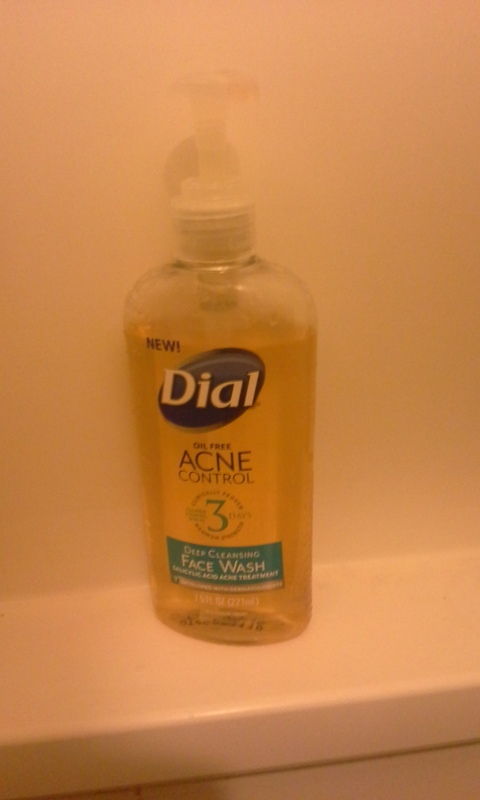 That’s where new Dial Acne Control Face Wash comes in! 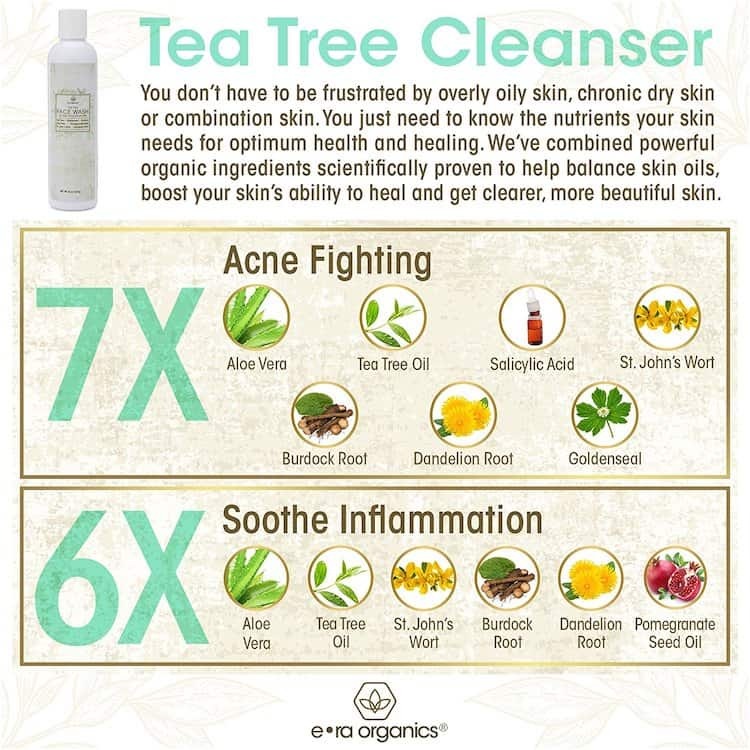 With its’ active ingredient of salicylic acide, it can give you clearer skin in just THREE DAYS. 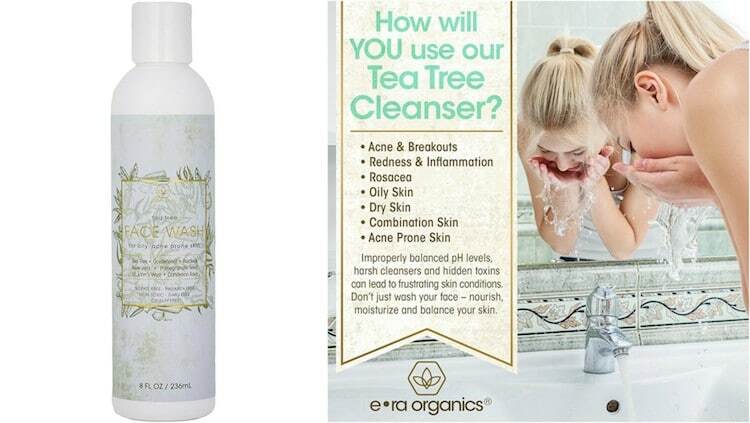 My face did indeed start to clear up within a day after I began using this face wash. I like that it’s in a rather plain bottle, no funky lettering or colors like those face washes marketed towards teens would be. I will continue to use this face wash when my skin is breaking out…which tends to be around a certain week of the month :O But for day to day, I found it to be a little drying for my skin. I would recommend only using this as a daily wash if you have more severe acne or a strictly oily complexion. Be sure to visit the Dial Facebook Page for more info on Dial Acne Control products, and to get a Digital Coupon for $0.75 off the Dial Acne Control Face Wash or Bar Soap! 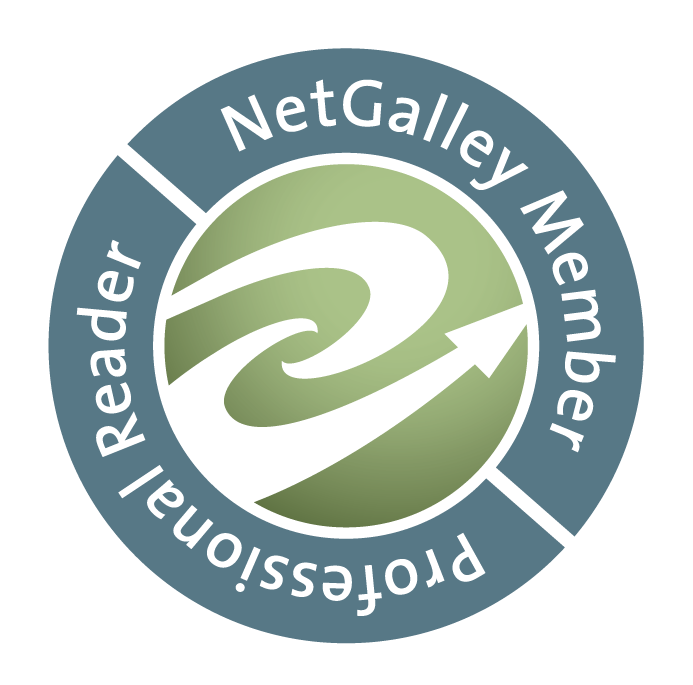 **DISCLAIMER: I received this product free for review purposes from Smiley360. 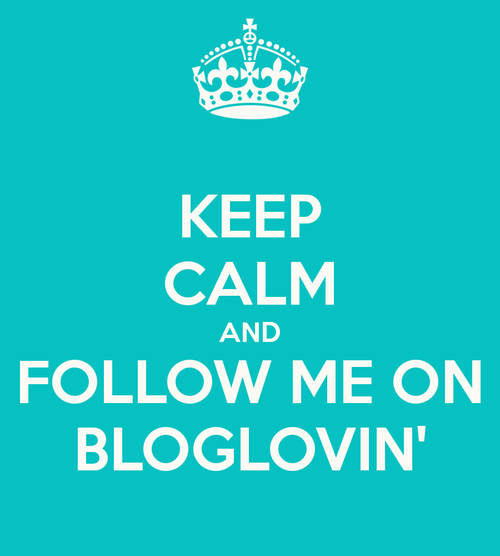 I received no other compensation for my post, and the pictures and opinions contained within this post are my own. With the scorching hot Louisiana summer we have had thus far, I was very much looking forward to trying a new body wash that seems perfect for cooling off. 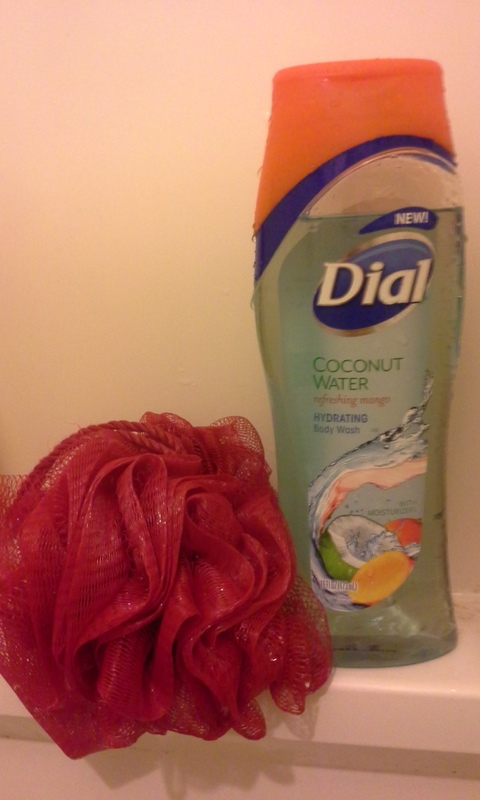 Luckily, new Dial Coconut Water body wash in Refreshing Mango scent seemed to be just the ticket. 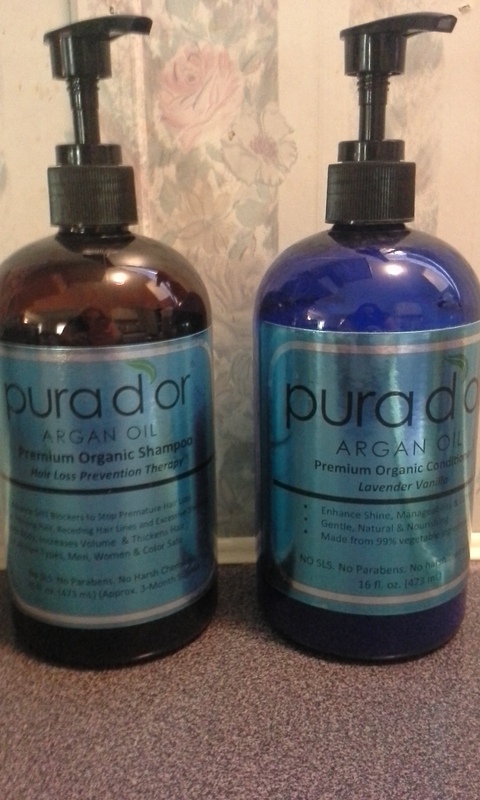 Here’s a bit of product information about the body wash. The juicy mango scent is definitely the star of this show! 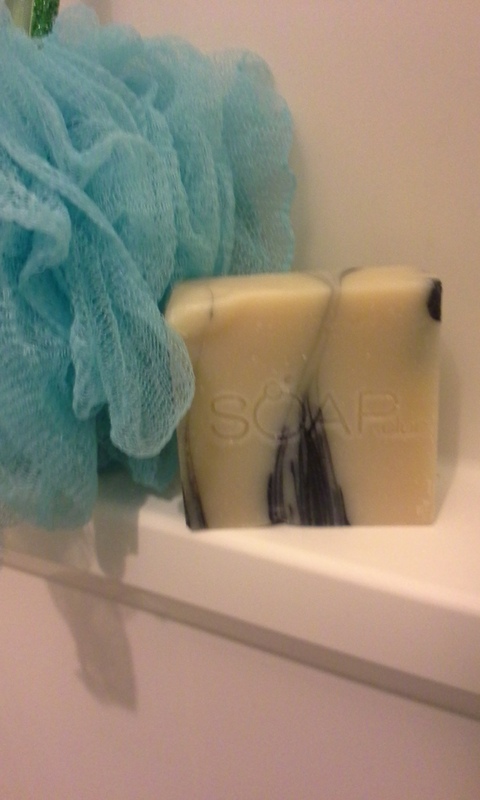 Even before you lather up, you can tell that the scent is strong. It becomes even more so when you put it on your loofah–lathering up is a fantastic sensory experience. The scent also stays on your skin well after you’re done drying off. Dial body wash always lathers quite well and generously for me, and this new formula was no exception. With just a quarter sized squirt, you will have tons of rich bubbles that rinse off easily. 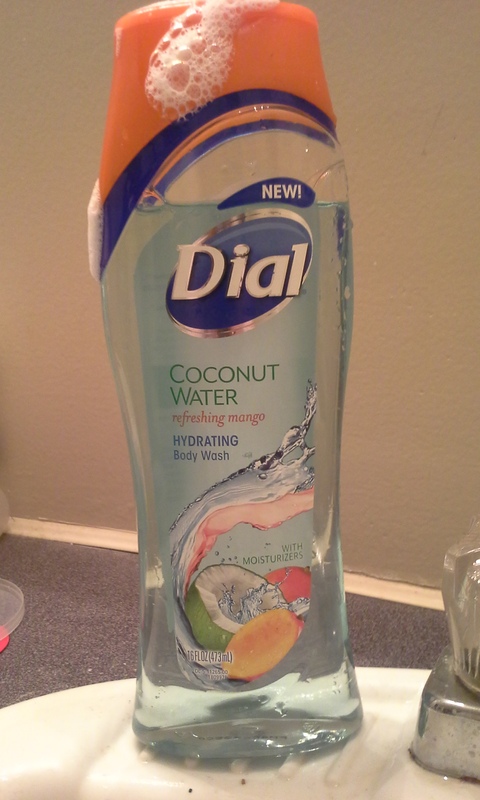 Dial Refreshing Mango is a great addition to the Coconut Water body wash line, and a perfect way to cool off and smell great after a super hot day. Check out the Dial Facebook page for more info on their products, giveaways, and more! 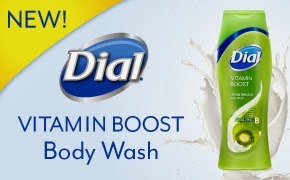 I am definitely a bath and body product aficionado, so I was really excited to try out the NEW Dial Vitamin Boost Body Wash! There are two varieties, Vitamin Boost B with Kiwi Extract, and Vitamin Boost C with Grapefruit Extract. I received the Vitamin Boost B to try out. 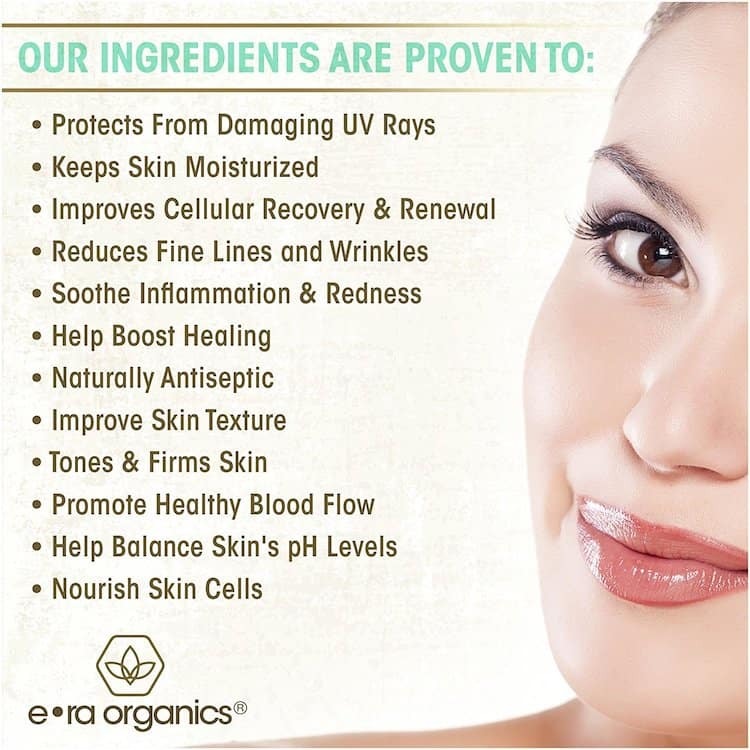 Vitamin B is a natural humectant that gives dry tired skin the boost it needs. 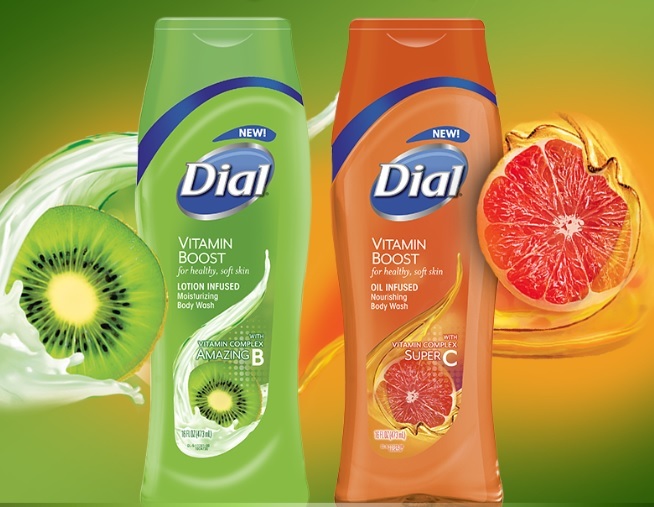 New Dial Vitamin Boost Body wash is a new advanced formula that contains a moisturizing Vitamin Complex that helps draw vitamins and moisture directly to your skin. 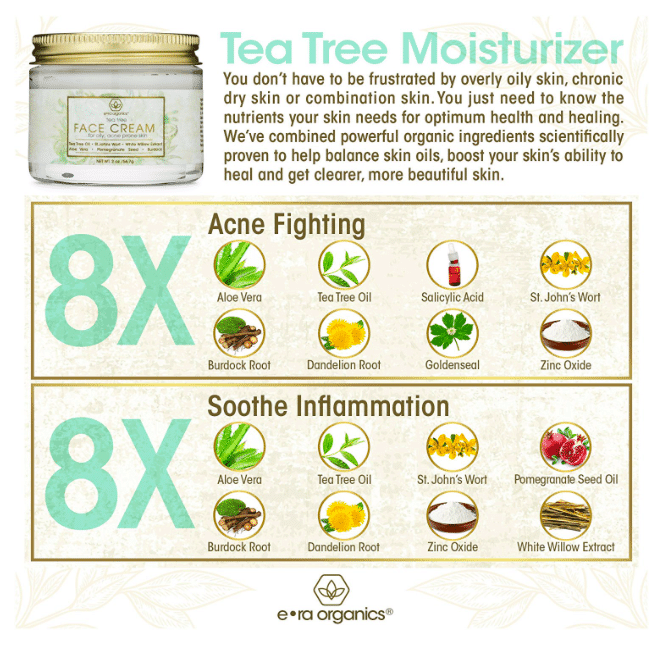 This means healthier, softer skin. First of all, I really liked the kiwi scent. It’s not something you find often in body products, and it gives a little hint of the tropics during this long, cold winter. I also liked that the body wash gave a nice lather, thick, and washed off my body easily. The formula itself is creamy and flows out of the bottle easily. 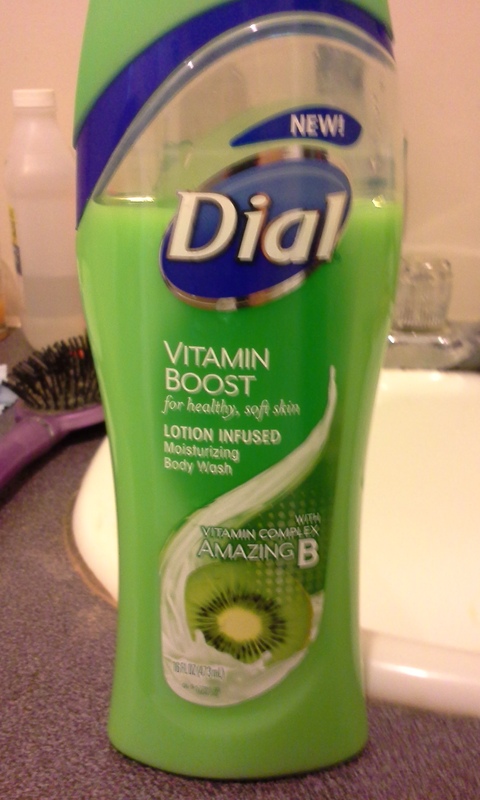 I found Dial Vitamin Boost Body wash to be really hydrating! 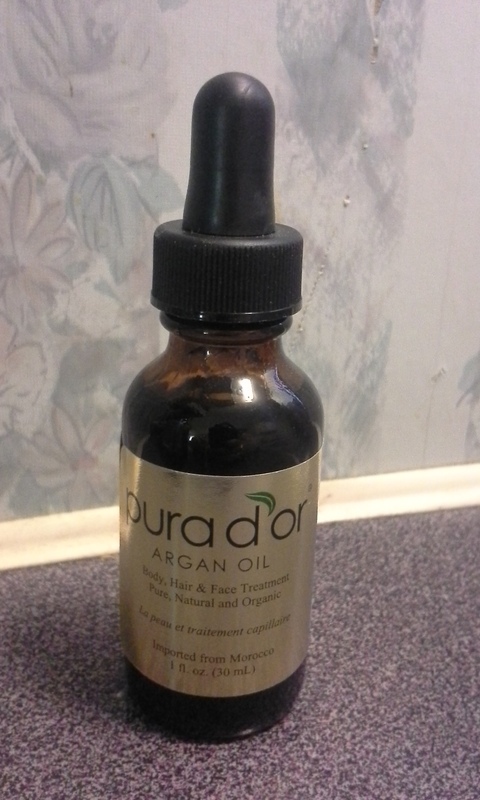 I can see myself using this year round, because it gives enough moisture without leaving skin greasy. I will for sure be grabbing a bottle of the Vitamin C Boost variety to try out when I am done with this one! The really awesome part is, Dial Vitamin Boost Body Wash doesn’t cost you an arm and a leg! You can get them for under $3 each at stores such as Wal-Mart. 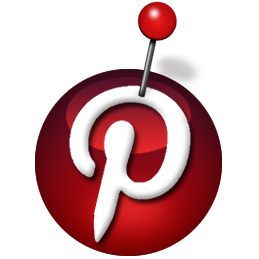 Be sure to visit the Dial Facebook page for promotions and to learn about new products! 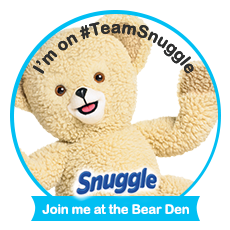 **DISCLAIMER: I received this product at no cost for testing purposes from Purex Insiders. My opinions and content are my own.